Integrated Pest Management (IPM) strategies help you harness the power of natural systems to better control pests and disease on your farm. review how to safely and effectively use biological products. You’ll leave this workshop equipped with IPM strategies that will help you foster a more balanced, more resilient farm ecosystem. Suzanne Wainwright-Evans is a horticultural entomologist specializing in integrated pest management. Suzanne has been involved in the Green Industry for more than 25 years with a primary focus on biological control and using pesticides properly. She is a graduate of the University of Florida with degrees in both Entomology and Environmental Horticulture. She has worked throughout the United States and internationally consulting to greenhouses, nurseries, landscapers, cannabis production and interiorscape companies. Cassandra Madden is co-owner of Nature Works Farm, a small scale retail farm and nursery in Brush Valley, PA specializing in a wide selection of sustainably grown garden plants including flowers, herbs, vegetables and hanging baskets. 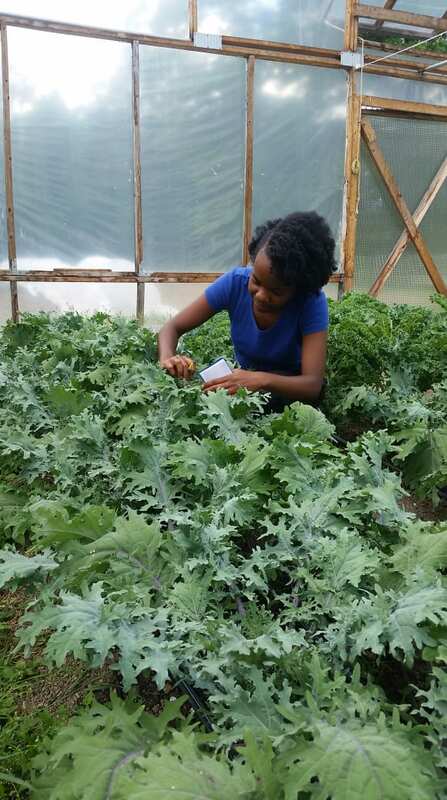 Cassandra graduated with a Masters degree from Chatham University in Food Studies and worked for the urban agriculture nonprofit Grow Pittsburgh prior to starting Nature Works Farm with her husband in 2016. She has practiced IPM in production greenhouses for 7 years and enjoys sharing her experiences with other growers interested in implementing IPM programs in their own operations. Jim Harvey has been the Worker Protection Standard regulation educator at Penn State University since 2004. Prior to that Jim worked three years as a regional farm safety Extension educator at Penn State Extension. Jim works state wide with growers helping them understand and implement their “WPS” compliance efforts. Individual farm visits are free as are any “WPS” materials that he distributes. This event qualifies for two SmartStart credits through AgChoice Farm Credit. SmartStart allows young and beginning farmers to earn credits toward a reduced interest rate on a new AgChoice loan by attending educational events.